Flatbed tarps are essential when protecting valuable cargo. While some companies or distributors may opt to not use tarps for their trucks, trucking tarps on flatbed trailers become essential for long term, cross-country transport. Our flatbed tarps come in various styles depending on the transport need, and we offer great prices. Looking for suitable, superior protection for your loads? We’ve got you covered with our tarps for long haul trucking. Learn more about how Canvas ETC. is your premier tarp supplier for truck tarps and accessories. Tarps, or tarpaulin coverings, have been around for centuries! Early sailors would use all sorts of cloth including their own clothing to accommodate for tarping cargo on ships. Early tarps were made from duck cloth or duck canvas for its durable properties. Today, tarps are made with many different materials in mind. While natural items made from cotton like duck canvas have dominated the tarp industry for many years, synthetically made tarps are a go-to now. Using polyethylene or vinyl creates quality tarps that lasts as long as its natural counterpart. When using synthetic or man-made materials for tarps, it’s often produced as sheet material. From there, it may be cut into strips and woven to create tensile strength throughout the tarp. Overall, synthetic material tarps assist in making quality flatbed tarps for protecting your load. 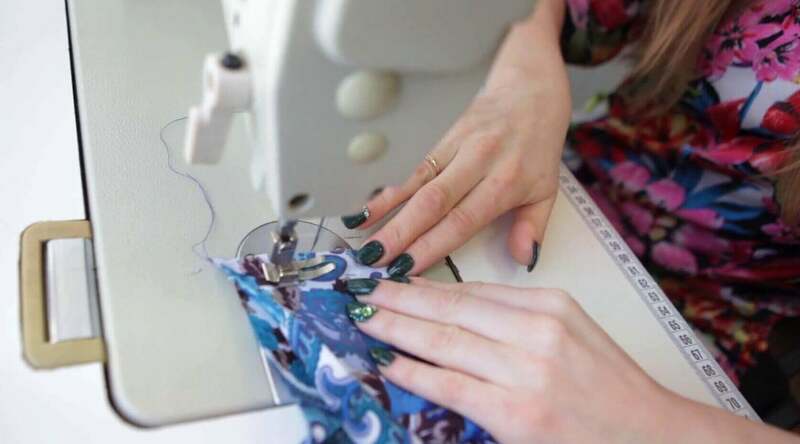 The use of synthetic material allows for various components to exist that wouldn’t with traditional, natural materials. All in all, we want your tarps to outlast any sort of environment they’re placed in. Durability: The materials used in the creation of our tarps are extremely durable. When the material processes, it’s tested for abrasion resistance and stability. Our vinyl coated polyester will not only be ideal for protecting your cargo, but it will outlast extreme temperatures and cold cracking. Mildew Resistance: If you’re driving long distances through unpredictable elements, the vinyl coating polyester withstands mildew buildup. Your items will stay protected against harsh mildew and grime buildup so that your shipments aren’t damaged. UV Resistance: Our tarps are made for the outdoors. When driving during the day, it’s important that your cargo stays out of harsh, hot sunlight. Our tarps are UV resistant to protect not only what’s underneath it, but the tarp covering itself. Waterproof: Weather will never be under our control. Rain and other hard outdoor elements are difficult to account for, but not when you’re using our well-made tarps! Our coverings are waterproof for protection and extended use. All in all, we’ve tested and perfected our offerings for truck tarps so that when you’re ready to take the trip, you won’t have to worry about damage to your cargo or the tarp itself. If you’re looking for a reliable tarp for long haul trucking, you’ll also need the right accessories to keep your vinyl tarp in place while you drive. The first accessory used in any good trucking tarp is a tarp strap. Tarp straps secure your cargo and ensure you won’t find it all over the road. It keeps the tarp in place, protecting your load. Tarp straps secure over rows of d rings. D rings and sometimes grommets are put in place around your tarp. These rings allow for the use of tarp straps safely and securely. If you need something with a bit more holding power, ratchet straps are the way to go. Durable strong straps placed around your cargo hold your shipment and tarp in place, no matter the road conditions. There are many other options for great accessories for flatbed trailer tarps. Overall, each accessory is built tough to handle whatever it encounters during a long haul. 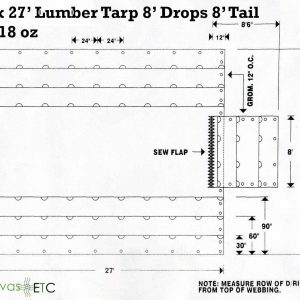 Lumber Tarps: Protect your lumber cargo with a lumber tarp. Your flatbed trailer isn’t complete without one! Keep your shipment safe, secure, and out of harsh weather conditions. Steel Tarps: Steel tarps are similar to lumber tarps, but are predominately used to protect shipments of steel. If you’re transporting steel rods, sheets, or otherwise, you’ll benefit from a steel tarp. Smoke Tarp: Smoke tarps are traditionally placed at the front of a flatbed trailer. Often called nose tarps, their use is ideal when you’re not driving a long distance and only need to protect the front of your load from soot or exhaust smoke. Regardless of the need, our versatile flatbed tarps are made with your every load in mind. To learn more about how we help you protect your cargo and make your drive a little easier, contact us today.